It's been two years since this blog started along with my journey to wealth. Just figure this will be a good time to summarize my progress and what I have learned in the past two years. 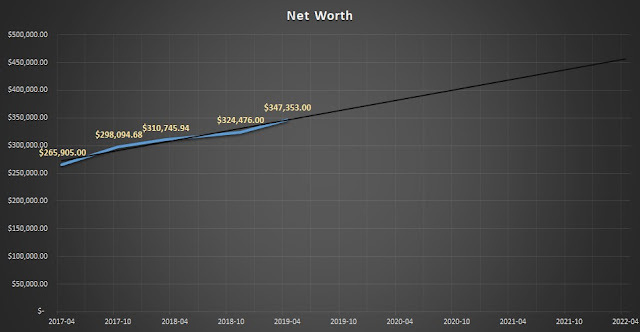 So I've plotted out my net worth on excel and added a 3-year linear projection trend line. For my initial net worth, I added in my pension value into it so the data makes more sense. 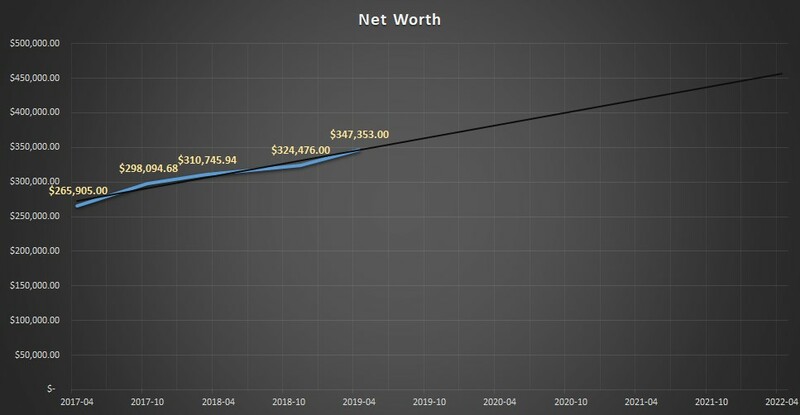 From the trendline I should be well on my way to half a million net worth in the next 5 years, guess we'll wait and see. It's been a pretty good two years, my investment portfolio did exceptionally well which gave me a good boost in my net worth. I've also been saving my income more diligently which helps a lot. One of the big things I learned is that getting rich is simple but requires a lot of discipline and effort. It's very similar to getting fit, there is no shortcut, you just need to work out often. Similarly, to grow your wealth, you just need to save more and invest your money wisely. The journey to wealth is not a sprint but a slow long marathon. From an investment perspective, I am starting to learn about income investing and value investing which is a little more complicated than index investing. Starting to understand the ownership perspective in investing rather than from a trader/speculator's perspective and to think long term investing. After starting this journey I have read a lot of books and blogs on personal finance, listened to a few podcasts and become more in tune with my money than ever before. I have shared my passion for personal finance, investment and early retirement with however wanted to listen. After two years, I would say that I am truly passionate about personal finance, I am even thinking about becoming a fee base personal finance advisor.